Civil Rights Ambassador / Civil Rights Advocate, Equality Fighter & Strong Advocate In Political Causes. That Need Our Attention This Very Moment & Our Over All Future As Humans That We Must Start Giving Back. I Have Been Enlightened & Learning Everyday Of My Life & Now It Has Been My Turn To Help Others Be Enlightened. 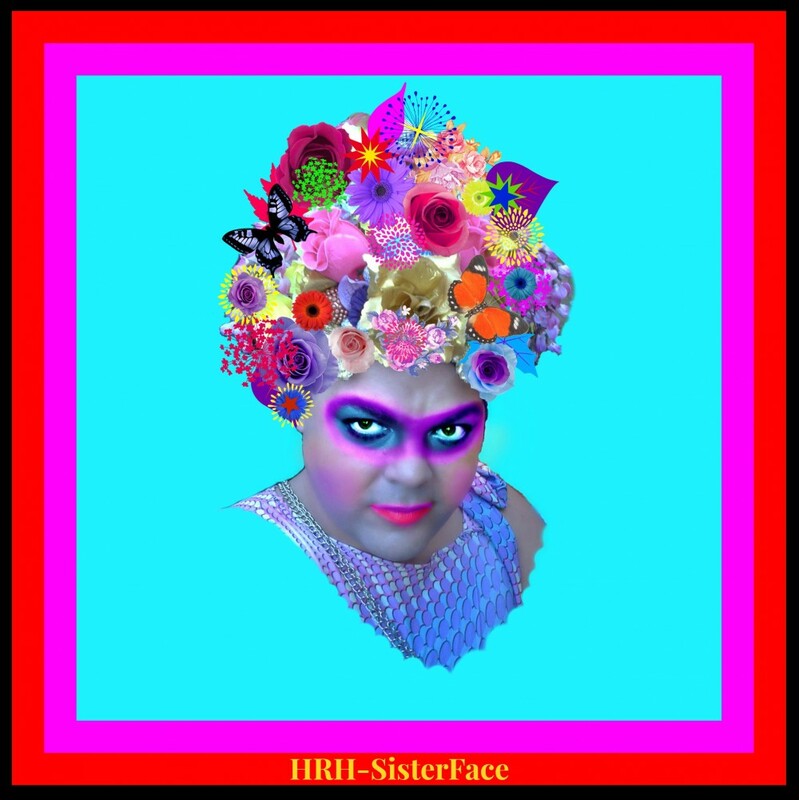 Maybe Not Have To Go Thru Many Of The Things I Have Had To, My LGBT Generation Has Had To Go Thru, Bring Change… MInister, Emissary HRH – SisterFace. Wants To Do Work For Humanity, As Long As I’m Living & Hopefully Long After I’m Gone Also. I’m Down If Its For Charity For Sure… I Have Been Very Blessed & Fortunate To Have Learned From Some Of The Most Legendary Entertainers, Teachers, Club Owners, Events Companies & Sheer Life Itself. 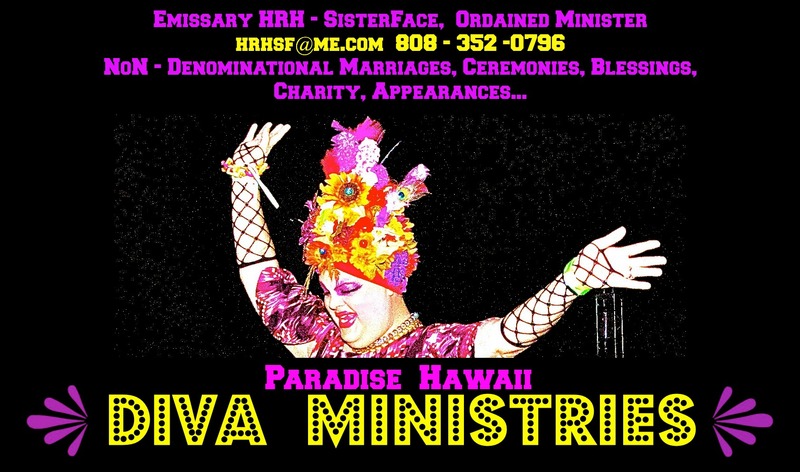 Corporate Entertainer Amongst The Huge Ticket Master Franchise, Several Others I Can’t Say As V.I.P Host / Hostess For Thousands Of Events Over The Years Since 1986. My Work In Politics As A Major Force In LGBT Causes & Civil Rights Issues, Raising Huge Amounts Of Money For Candidates That Represent Our Gay Community & The DNC More Liberal Side Overall Since 1990… I Have Helped Countless Mayor’s & Governors, House Reps., Senators, Congressional Members & Delegates. Get There Message Out To The LGBT Community Since I Was A Teenage Adult. I Have Held Leaders Accountable & Will Every Time They Mess Up Publicly & Responsible, I Have Helped Them Change, Cross Over, Engage In Conversation, Use My Every Ounce Of Any LGBT Entertainment Figure Clout I Can To Bring Equality Thru Out Every Part Of This Country I Can. I Promise To Help Our Youth Get Involved In There Local Government & State / Federal Levels, Teach Them How To Reach Out To Leaders & Demand Them To Stay On Course For Our American People, My Mission, Will Never Veer Off Course. 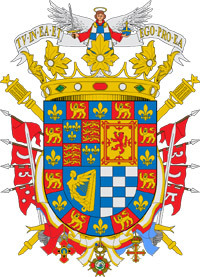 It Is My Passion To Get As Many As I Can Through Good Debate, Writing Letters, Calling, Getting More & More People To Make Videos Demanding Change In Our USA, Our World For Equality… Bigotry To Me After Everything I Have Been Through & What I Have Seen, Heard Have Witnessed Like Many Others. Is An Enemy That Needs To Be Found & Stamped Out Wherever Possible… My Support To Our Struggling Youth Has Grown More Passionate Daily & Want To Always Help Inspire Who I Can With What I Have, A Very Loud Voice & Growing Presence For Americas LGBT & Our Very Awesome Family Of Supporters That Keep Growing Daily Also & Always Will Now… Please Support Our Youth, Our Country, The Middle Class, The Poor, The Healing, The Lost To Have A Full Life & Better Future. 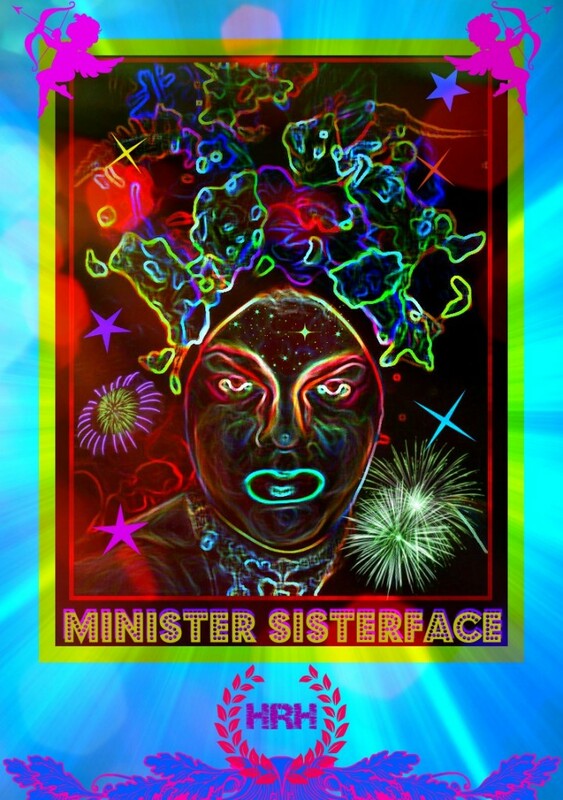 Minister, HRH-SisterFace Is Now On A Mission To Bring My Loud Mouth & Music To You & My Thought Provoking View & My Anger On Our World… To Help Inspire You To Confront The Government & Societies Issues Head On, Because. You Can Bring Change Where You Live Today, Your Community Needs You, Always… Its All About Helping Our Youth, LGBTQ Youth Survive Into The Future. To Give Back As Much As I & You Can To Our Community, Be Loud, Bring Change. Never Ever Give In To Evil & Help Guide As Many As You Can Away From It To A Better Light. There Are Very Evil People, Very Confused Week People, There Are Only A Few Good People, I Choose To Be Good.